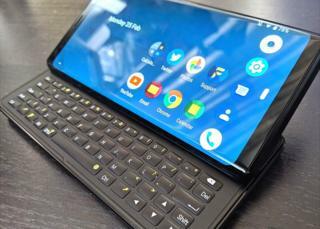 An Android phone that slides open to reveal a physical qwerty keyboard inside has launched at Mobile World Congress in Barcelona . The F(x)tec Pro1 phone also has a bespoke shutter button on the side to click when taking photos. “We press keys and buttons all the time and expect something to happen,” he told the BBC.